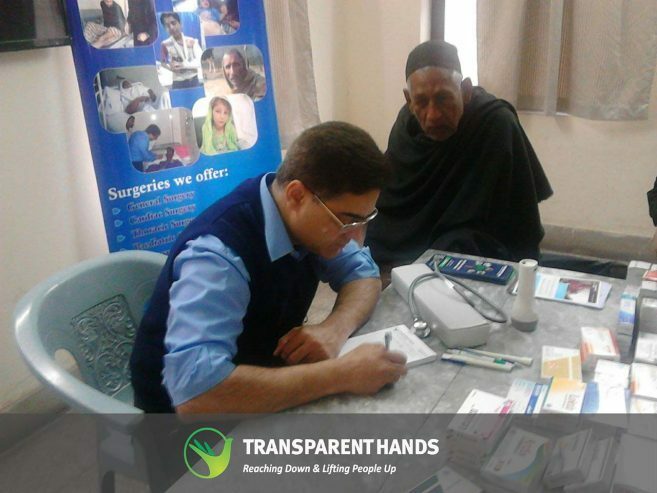 Transparent Hands is organizing a free Medical Camp at Gopal Nagar, Lahore, on Friday, 21st June 2019. In this medical camp, our team of dedicated doctors and specialists will provide the following facilities to the deserving patients: 1. Free Consultation 2. Free Blood Pressure Test 3. Free Diabetes Test 4. Free Hepatitis B & C Screening Test 5. Free Medicines 6. Free Registration of Deserving Cases for Surgeries and Medical Procedures. Access to healthcare facilities continues to remain a luxury for people living in rural areas across Pakistan. Donate for our medical camp and transform the lives of hundreds of patients and their families. Our journey isn't possible without the support of people like you! Be the first one to support .